Price: For my friends who aren't aware of MSM Box, its has two types of monthly subscription boxes for women MSM Select box and MSM Express box. There is a charge of Rs. 495/- per month for the MSM Express box and a charge of Rs. 995/- per month for the MSM Select Box. Excluding this they have lately introducted a MSM Diva Box that consists of only makeup products for all the makeup lovers, it retails at Rs. 1995/-. There is a grooming and fashion subscription box even for men called MSM Bulldawg which retails at Rs. 1595/-. Each month they have a unique theme and the boxes are curated as per the theme. 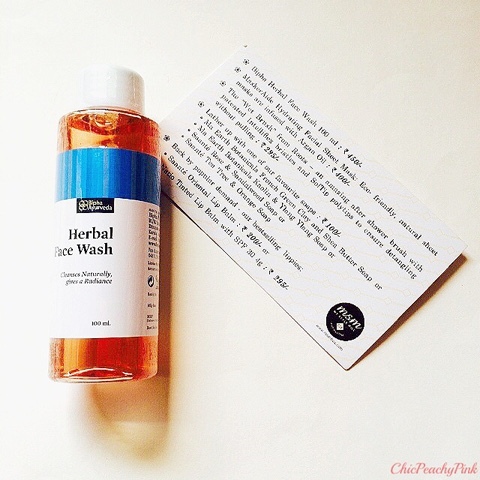 Honestly, I had never heard of this brand before this but as I had guessed being a herbal facewash it turned out to be very gentle. 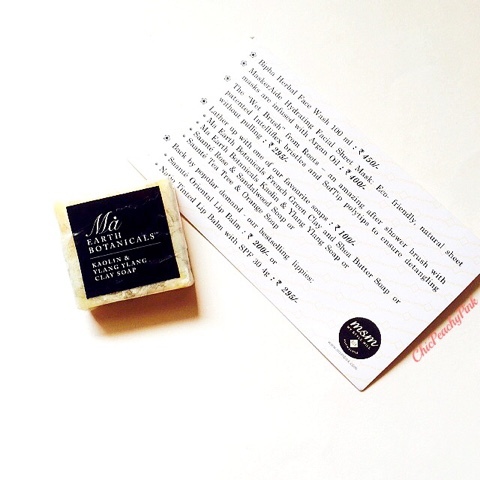 It lathers well and even has a mild pleasant fragrance of Patchouli and Vetiver. Though this product cleans my face thoroughly but it doesn't strip of my natural oils. Honestly, its no Bioderma and I wouldn't expect it to be but for the price I am receiving it I feel it would be a justified purchase. I love facial sheet masks immensely so when I did receive this product in this months box I was super excited to try it. I patiently waited till the weekend when I could actually relax and use this mask. I have tried a couple of Korean facials sheet masks in the past and this gave a tough competition to them. As per instructions you are supposed to remove the mask after 15-20 minutes but I like to keep them on for 30 minutes and even after doing so I dint feel uneasy. My face dint feel sticky at all but rather very hydrated. 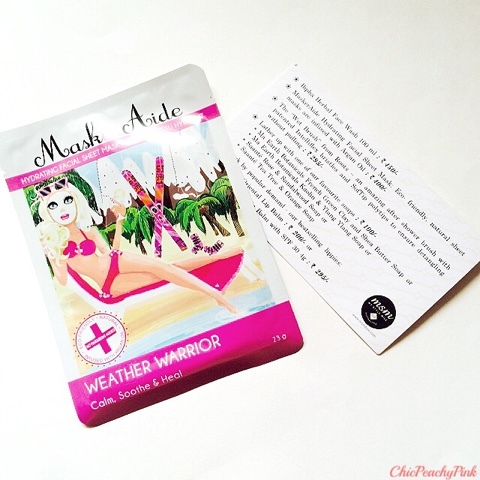 I feel the name Weather Warrior of this mask is really apt as the Argan oil infused in it even got rid of some dry patches which I had developed cause of the uncertain weather lately. All I got to say about this brush is that it is just too darn good. I absolutely love how gentle it is with my hair. All the claims made by this brush are true. You may think I am exaggerating but I have really replaced it with my tangle teezer (only for after shower usuage). The intelliflex bristles and SofTip polytips ensure detangling without tugging my hair and avoid any harsh unwanted breakage. This is one product in this entire box that I am yet to try. As you must have seen lately I have been just hooked on my Kama Ayurveda Tulsi soap so was really not up for testing any new soaps. However, by the looks of it this product seems very promising to me. It is an all natural handmade soap bar which is made up of Kaolin clay and Ylang Ylang essential oils. Now, doesn't that sound exotic to you? I will certainly give it a try after I am done with the Kama one. 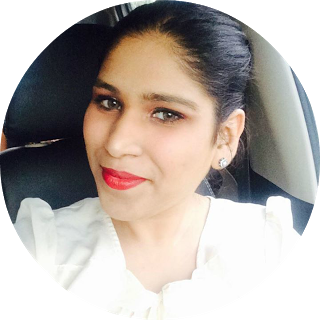 I haven't tried many products from the brand Natio but the few that I have tried turned out to be really good. This balm is very hydrating and has SPF 30. Though this balm is not very pigmented but it covers up this fact by the amazing light weight formula it has. All in all, this product can be counted as a good buy, except for its pigmentation I really like all its features. Overall Verdict: I really enjoyed the diverse range of products that they have to offer in each box. It is also quite impressive that nearly all the products in this box where full sized making it worth every penny. My most cherished products from this box would definitely be the Wet brush and the MaskerAide hydrating facial sheet mask. Hope you enjoyed reading this post. Drop in a line in the comments section and let me know what do you think of the MSM box? Also have you tried the MSM box yet? As well as you can even check out my previous post on the July 2015 MSM Box Monsoon Magic HERE. Nice goodies...Wet brush is really good, have heard only good things about it. They always have such fun offers you should check them out and on the plus side they products are great too! Looks like a good box! I really want to try that brush. 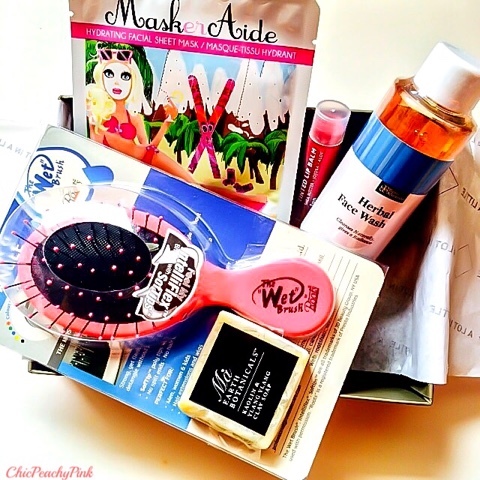 I love beauty boxes, this one looks so fun! I know what you mean right from the theme to the diversity in products.. Its all great! They are such fun boxes and I love both their subscriptions the Select and the Express one.. You totally must get the next one! Oh thank you that is so kind of you to say! I am loving subscription boxes lately. The brush is super cute. better than fab bag i say! I wouldn't like to compare them both as both of them have a different price range and thus the products vary but individually they are superb! very interesting box, much better than fab bag. I have to this this one. I honestly wouldn't like to compare them both as they both have different price range and thus the products vary but individually they both are superb! 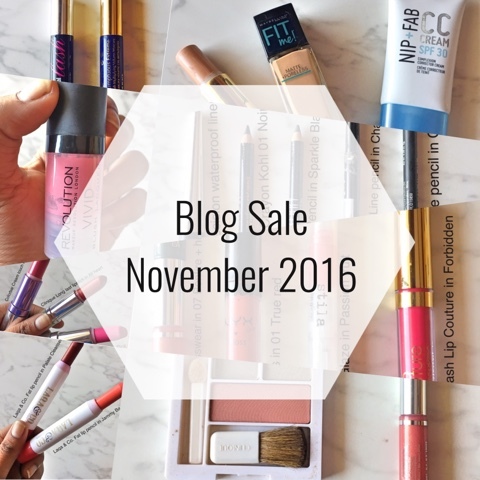 there are so many beauty subscriptions out there now that it is hard to keep track of them all. 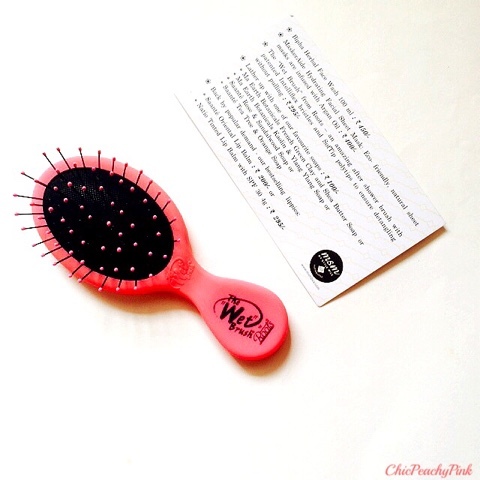 The hairbrush for wet hair looks pretty interesting! The roots brush sounds really nice. Yet to try MSM box. 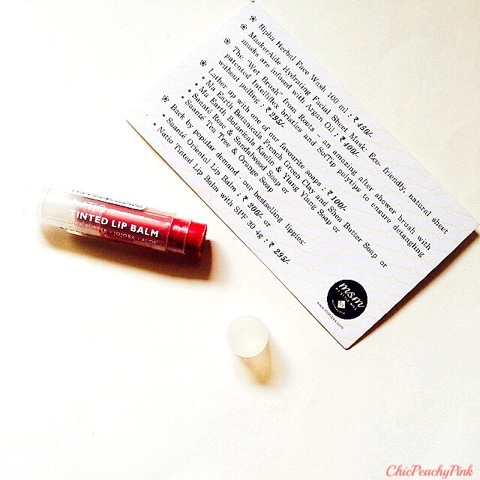 Cuty brush �� and excited to know lipbalm review.